The purpose of NISTCSF digital risk management training curriculum is to teach organizations how to use common assessment procedures and tools to assess the effectiveness of security controls in enterprise systems, specifically those controls listed in NIST Cybersecurity Framework. 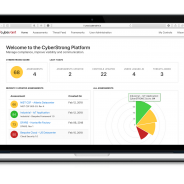 NISTCSF.COM Assessment Certification Training with CyberStrong Risk Assessment Platform – The NISTCSF.COM assessment training curriculum uses a combination of itSM’s NIST Cybersecurity Framework certification training combined with the CyberSaint CyberStrong risk assessment platform. 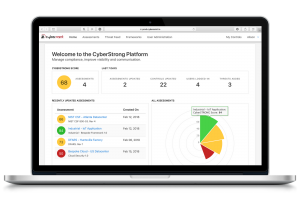 itSM’s assessment training provides a comprehensive way to learn the knowledge, skills and abilities to measure and report on cybersecurity risk across all business units, assets, and compliance functions. .